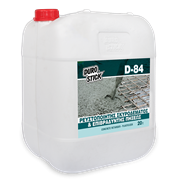 What is an improving additive for a mortar (cement or lime based mortar)? 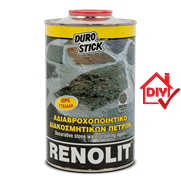 It is exactly what it says, a product which is added to the mortar during the mixing process (usually added in the mixing water of the mortar), that improves various properties of the mortar. 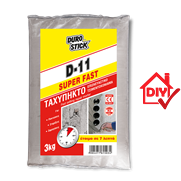 Properties such as its flexibility, its adhesive strength (when talking about cementitious adhesive), its durability in general and more specifically its abrasion resistance, its flexural and compressive strengths. In what form can I find the most common mortar admixtures available in the market today? The most common mortar improving additives available in the market today are in liquid form (some more concentrated than others). 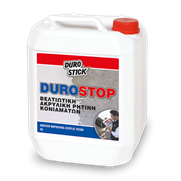 They are usually called 'emulsions', (D-20, DUROMAX, DUROSTOP, and ACRYLIC EMULSION of DUROSTICK). 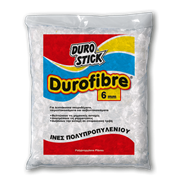 However, one can also find improving additives in powder form (DUROSTICK RESIN POWDER) and in the form of fibers (DUROSTICK POLYPROPYLENE FIBRES). Is the use of improving additives in all mortars an absolute necessity? 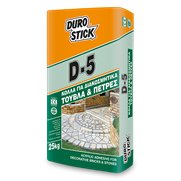 In general, the rule of thumb says that the improvement of a products' properties, (mortar properties in this case), is always a positive effect, but only on the condition that it has been calculated as to its cost versus the benefits derived from its use. It is however considered as standard practice that is followed in a multitude of developed markets, such as Europe and the United States of America. Is adding improving additives to mortar(s) in small or large proportions, always a positive and beneficial act? 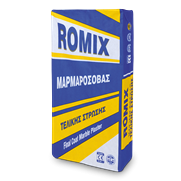 The addition of improving additives, by volume or by weight, should be done so as to not exceed in any way the additive mixing proportions, as described on the mortar packaging. Exceeding the correct ratios could lead to opposite results from the desired ones. 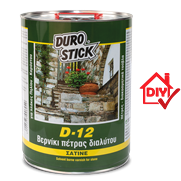 Is there printed, digital or another type of information by DUROSTICK, that I can find details relating to the improving action of these products in mortars? 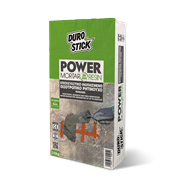 DUROSTICK is always by your side, from the initial stages of finding the appropriate solutions, the selection and purchase of the appropriate, per the individual project, products, but also in the implementation steps of your project(s). We are with you, together with our Technical Support Team via phone, e-mail, special applications, mobile app support etc. We are also with you with a multitude of printed and digital informational and educational materials for the use of our products. 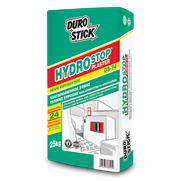 All of our instructional materials are available at points of sale of the products, on the Internet at the company sites, even through regular mail. What is traditional and what is industrially pre-mixed plaster? 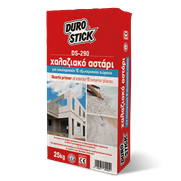 The traditional plaster is a mortar created on site (the plaster is mixed/manufactured at the site/space of application). 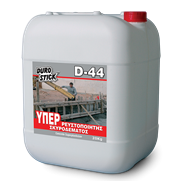 It contains cement, sand and lime which are mixed with water. The mixing ratios of the materials may vary, more or less, depending on the situation and the person mixing the plaster. 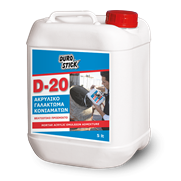 Traditional plasters can be fortified with mixing additives (D-20, DUROMAX, DUROSTOP, RESIN POWDER of DUROSTICK), as well as polypropylene fibres (DUROFIBRE etc.). 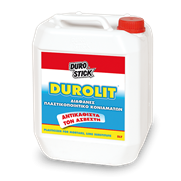 Today, it is also possible to replace lime with specific substitutes, such as DUROLIT of DUROSTICK. 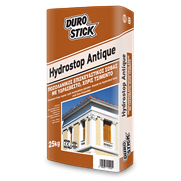 On the other hand, the industrially pre-mixed plaster is a mortar of consistent quality, specific formula and only requires water for its preparation. 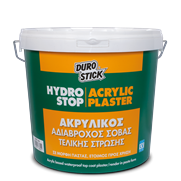 The addition of mixing (improving) additives in industrially pre-mixed plasters is permissible unless otherwise indicated on the product packaging. 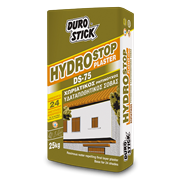 What type of plaster is the best solution for my house/building/structure? It depends on, and varies, with each case: The location of the house, ('difficult' environments, mountainous or coastal areas etc. ), the ability to financially cover the labor and material costs, the requirement for long lasting durability of the application with the fewest problems possible. 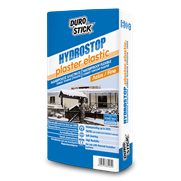 Generally speaking, the use of industrially pre-mixed plasters presents a number of advantages over traditional plaster applications. 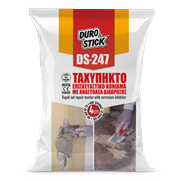 Among those advantages, some are the repetitive formula of the product, thus consistent quality and performance, the excellent quality of the product due to its refined materials, the ease of transportation and mobility of the product since it is factory bagged, the limited requirements for improvement, in relation to traditional plasters and mortars. 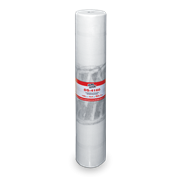 What kind of preparation, if any, does a surface needs before it is plastered? 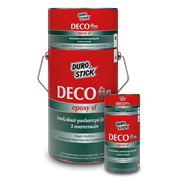 As with any building surface that will function as a substrate and is about to be coated with an application, the surface to be plastered must necessarily be prepared and cared for appropriately. That preparation will have to do with the surface stability and bonding ability. Remove all loose and foreign material. Make sure the surface has or create if need be, the appropriate grip conditions to ensure secure plastering without risks of failure. Under certain preparation conditions, a large number of different surfaces (even wood or metal surfaces), can be plastered. 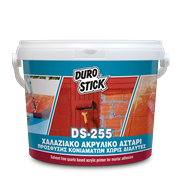 One only needs to apply special purpose adhesion primers (quartz primers DS-255 & DS-260 of DUROSTICK) on the surface that will be plastered, to create the necessary bonding conditions. 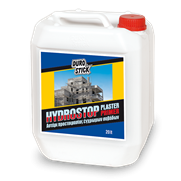 What types of construction surfaces can one plaster? What should I be careful of? 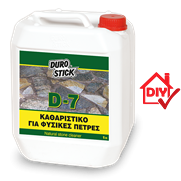 All surfaces made of mineral materials, such as plaster, concrete, brick, aircrete, cement and cinder blocks etc. can be plastered. 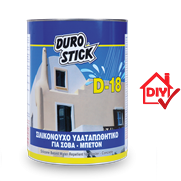 Also, surfaces made of expanded and extruded polystyrene, wood, metal and other materials can be plastered, however, it is necessary for those surfaces to be properly prepared/primed before any plaster application. Which are the steps for traditional plastering? 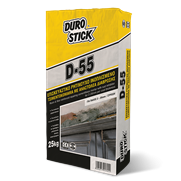 Start with a stable mineral substrate that is free from loose and foreign materials. Soak the surface thoroughly with water. 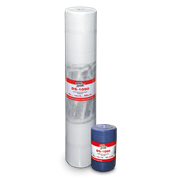 Non mineral substrates must necessarily be primer with the appropriate product. Apply the first coat of plaster, commonly named 'scratch coat'. 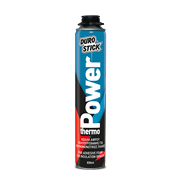 This step increases the bonding strength/grip of the surface to the coatings that will follow. Traditionally, the 'scratch coat' material used in this step is more fluid (by usually adding more water during its preparation) than the plastering mortar. Once the 'scratch coat' cures, move to the next step. Apply on the surface the 'base' or 'brown coat', usually applied in thicknesses of about 2-3cm per coat. After several days have passed (depending on weather and ambient conditions), apply the final 'top' coat or rendering coat on the surface. Traditionally 'top' coats are applied to thicknesses of up to a few millimeters. 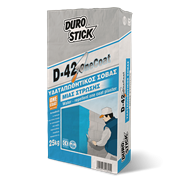 DUROSTICK offers a complete line of plaster/'top' coats, such as D-40, D-41, ROMIX marble based 'top' coat plaster, DS-74 & DS-75, HYDROSTOP PLASTER ELASTIC, and MEGAFIX. These plasters can be colored to a variety of colors, based on their corol charts. When the project requirement calls for a very smooth surface, proceed by skim coating the plastered surface with cementitious skimming pastes. 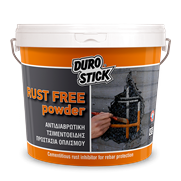 The plastering of a surface can be achieved both with traditional and with industrially pre-mixed plasters as well. Are there any alternatives to plastering? What are those and what are their advantages? 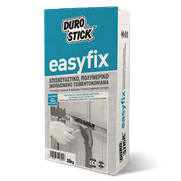 As an alternative solution to plastering, the use of one coat plasters should be mentioned. Plasters such as the D-42 of DUROSTICK, which is applied in one coat to thicknesses of up to 3cm per coat, usually. 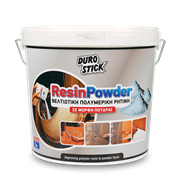 Alternatively, one can use the resinous cement pastes GRANULAR (for thicknesses up to 20mm) and GRANULAR ULTRA (for thicknesses up to 15mm). 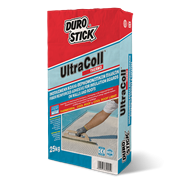 They can be applied the same way as plasters do, or they can be applied as spakling pastes, replacing the traditional methods of plastering. 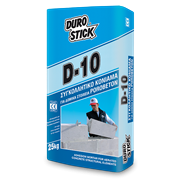 How can I make the plaster stronger and more durable? 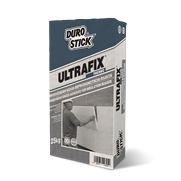 In any case, using improving additives during the manufacturing process of the plaster improves its properties and its mechanical strengths. 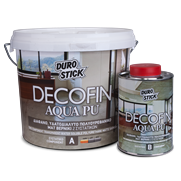 Using additives will also improve its waterproofing ability, flexibility, as well as its durability through time against any potential adverse environmental conditions. 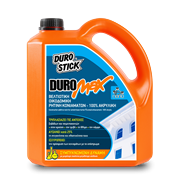 The additives could be in liquid form, such as D-20, DUROMAX, DUROSTOP, in powder form, such as RESIN POWDER of DUROSTICK, but also in the form of polypropylene fibers, such as DUROFIBRE etc. 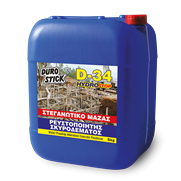 In special applications, using improving additives is also recommended, providing that the use of additives is not prohibited in the 'Application' and 'Instructions for use' text of the product. Can I color the plaster mixture in its mass? If yes, why should I do that? What should I be careful of? 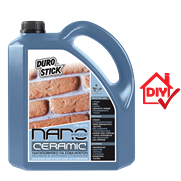 smoothing, one must not use excessive amounts of water, because there is a risk of discoloring the finish surface. The application of a plaster that was colored throughout its mass should be done by professional craftsmen, at least, most of the time. What should I keep in mind when planning to paint a plastered surface? 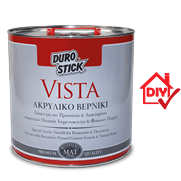 A plastered surface, as paint substrate, must be stable, without any loose sections, dust, and foreign materials. The surface must have consistent absorbency throughout its length and width. To create the above-required conditions on a) unpainted plaster surfaces: clean thoroughly, repair where necessary, prime and paint, b) painted plaster surfaces: clean thoroughly, repair where necessary, verify that the surface/substrate is stable and paint. 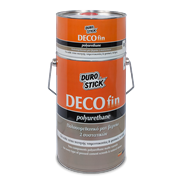 NOTE 1: In cases where the existing paint coating on the surface is glossy, before painting over it, sand the surface using sandpaper. 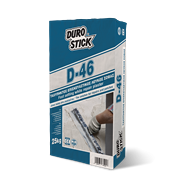 This procedure will increase the adhesive properties/grip of the existing coating. Continue by thoroughly cleaning the entire surface and paint. 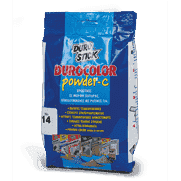 NOTE 2: When you need to change the color of an already painted surface into a completely different color, then it is necessary to prime the surface before applying the new coat(s) of paint. How can I repair/patch a plastered surface (cementitious plaster)? 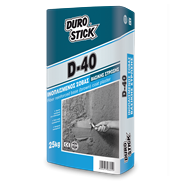 The surface to be repaired must be stable, clean and lightly soaked with water or a water/emulsion solution (acrylic emulsion of DUROSTICK, D-20, DUROMAX). 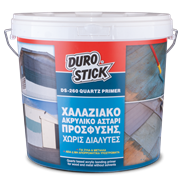 The grain size of the repair plaster (the size of the aggregates contained in the repair plaster), should be equal to the grain size of the existing plaster coating on the building structure you are repairing. 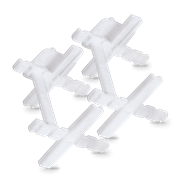 That will prevent visible patches from forming after the repair is completed. 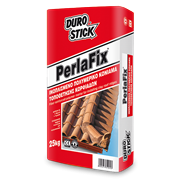 Use an improving additive with the repair plaster to increase the flexibility of the product and avoid future cracking at the edges of the repair. 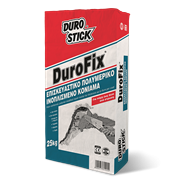 Alternatively, use industrially pre-mixed repair products, manufactured with increased flexibility, such as SUPER FLEX POWDER, and D-66 REPAIR. 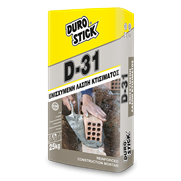 One can also use D-32 of DUROSTICK with the addition of D-20. Once the repair is completed and everything is adequately dry, proceed to spot paint the repaired area, or, more preferably, repaint the surface. Can I plaster over a surface that is already plastered? If yes, why should I do something like that? Most of the time we deal with already plastered and painted surfaces. The reasons one should plaster over an already plastered surface(s), are both aesthetics as well as practical (worn out surfaces in poor condition, surfaces with cracks, scratches, deterioration to a large or smaller extent and significance). 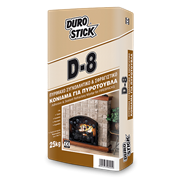 After properly preparing the existing surface that will act as the substrate for the new plaster, carefully choose the plastering product for the new application. 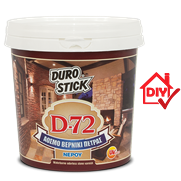 The plastering product itself and its abilities could be the reason for proceeding with the replastering of the surface. 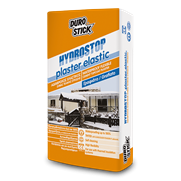 Plaster directly over a stable and sound substrate, using the flexible, waterproofing cementitious plaster of DUROSTICK HYDROSTOP PLASTER ELASTIC. 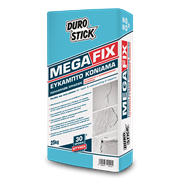 Alternatively, use the repair mortar MEGAFIX over the existing, stable substrate on part or the entire wall surface. 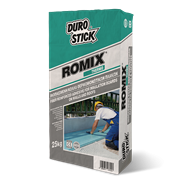 Choosing one of the two above mentioned products, yields exceptional results, creating excellent surfaces that remain durable long term, partially because of their flexibility and strong adhesive strength. What we are talking about here is essentially the renewal of the space and of the aesthetic image of the building, giving it practically 'new life'. The plaster surface(s) in my house developed mold and white spots. Why? What should I do to deal with these problems? 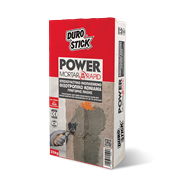 Although different from each other, both situations have the common denominator of moisture that has penetrated into the wall structure. In most cases, moisture concentration in excess levels creates favorable conditions for growth of mold and other microorganisms on a surface or even an entire space. 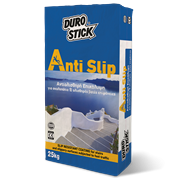 In addition, when moisture penetrates into the mass of cementitious plasters, it dissolves any salts that exist in it. 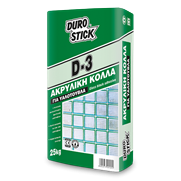 That results in the secretion of the dissolved salts to the surface of the plaster, in the form of white stains. 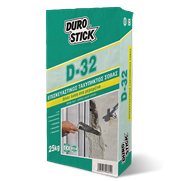 The reasons responsible for moisture penetrations into wall surfaces (plastered surfaces) vary in each case and they could be more than one. Indicatively we mention some of them: Absence of surface (plaster surface) waterproofing, plumbing or sewage system failure that is located through or near the wall, rising damp, excessively moist outdoor environment, excessively humid indoor environment that is poorly ventilated. 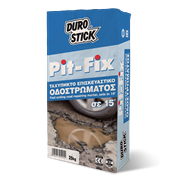 If one is unable to identify with certainty, and to prevent/repair the cause of the problem, it is highly advisable to seek help from the Technical Support Team of DUROSTICK before deciding what the next steps will be. 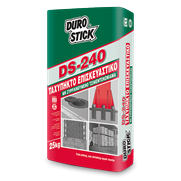 What kind of support does DUROSTICK provide before, during, and after the purchase of its plasters and/or its alternative plastering solutions that it offers?